Our NERO Executive Plus Inherently Flame Retardant Nomex Coveralls are the epitome in Flame Retardant Work Wear. Certified to EN 11612 A1, B1, C1 and manufactured to our Executive Plus specification our Nomex range is truly second to none. 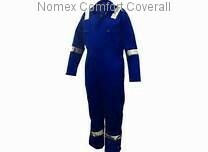 Available in three different weight options we have the Nomex garment to fit your requirement. Nero Executive Plus 260gram Nomex Comfort Inherently Flame Retardant Coverall, complete with 50mm Flame Retardant reflective tape on the arms, legs and shoulders, YKK zips. Nero Executive Plus 220gram Nomex Comfort Inherently Flame Retardant Coverall, complete with 50mm Flame Retardant reflective tape on the arms, legs and shoulders, YKK zips. 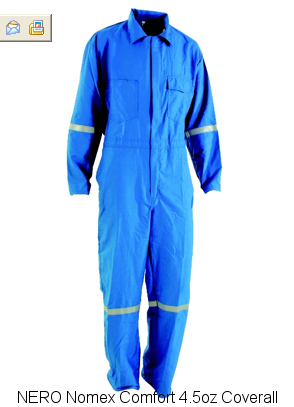 Nero Executive Plus 160gram (4.5oz) Nomex Comfort Inherently Flame Retardant Coverall, complete with 50mm Flame Retardant reflective tape on the arms, legs and shoulders, YKK zips. Nero Executive Nomex Comfort Inherently Flame Retardant Jacket, complete with 50mm Flame Retardant reflective tape on the shoulders and arms. Nero Executive Nomex Comfort Inherently Flame Retardant Trousers, complete with 50mm Flame Retardant reflective tape on the lower leg.